Recipe submitted by Tina Odom, Manager, Building Brands with Wal-Mart, Unilever. 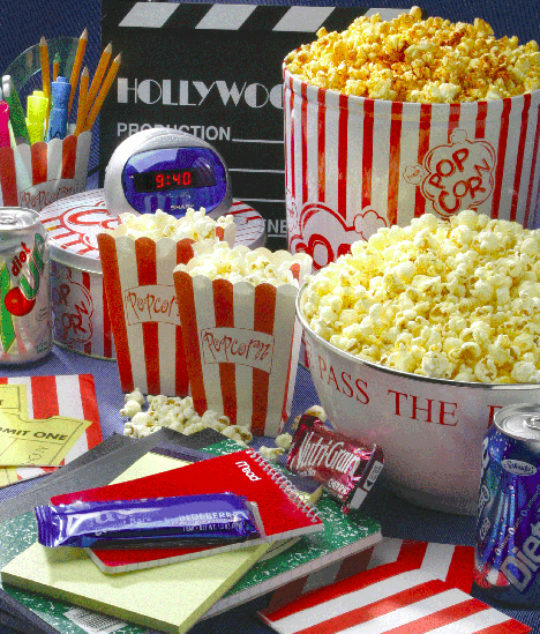 Take some time off and invite your friends over for movie night and some pizza — pizza-flavored popcorn, of course! Combining two great flavors doesn’t even have to be unhealthy. A mixture of spices mixed with buttery spread brings out the delicious taste of pizza when it is drizzled over popcorn. You’ll never have to choose one over the other again. Prepare popcorn according to directions on package. Melt heart-healthy buttery spread. Stir in garlic. Pour over popcorn. Toss with the oregano, parmesan cheese and paprika. Nutritional analysis varies greatly according to brand and formula of popcorn used. Check the label to ensure that "light" means fewer than half of the calories come from fat.